Al Pike balances on the wing of a T-34b, just one of the amazing aircraft he got to fly as a trainer at Planes of Fame. Al Pike has lived many lives. As an aviator, he’s gotten to fly some of the world’s most interesting WWII aircraft, despite his imperfect eyesight. 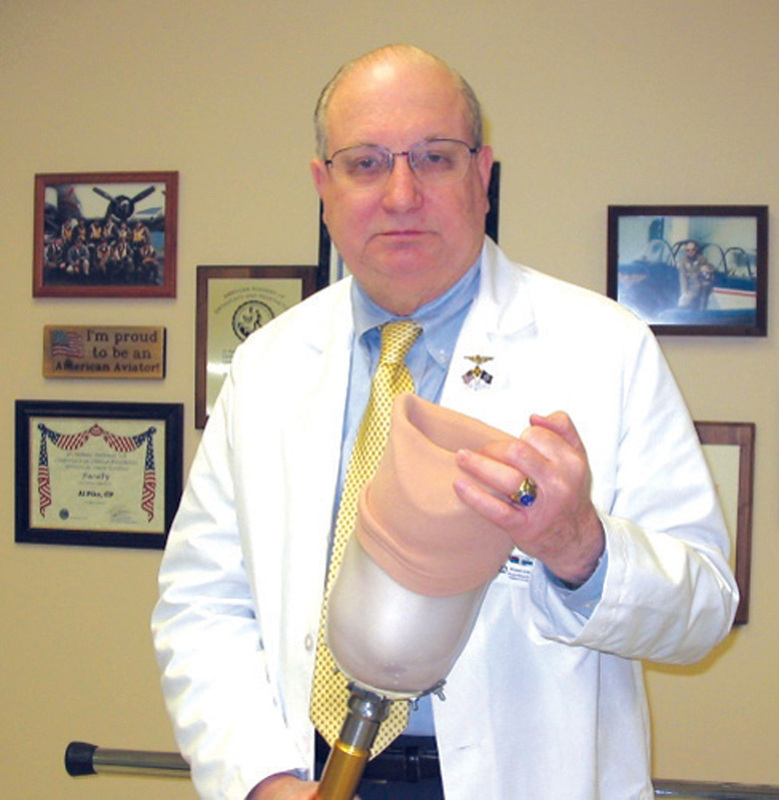 As a physician, his work in prosthetics has helped change the industry and has given him fresh insight into helping young veterans returning from the Middle East. He’s even been a Hollywood consultant, helping the creators of films like “The Fugitive” and “The Empire Strikes Back” to paint a more technically accurate picture of amputees. Born near Jackson Army Air Base, Mississippi, in 1942, Pike moved on to Little Falls, Minn., as a child and has always had a passion for aviation. 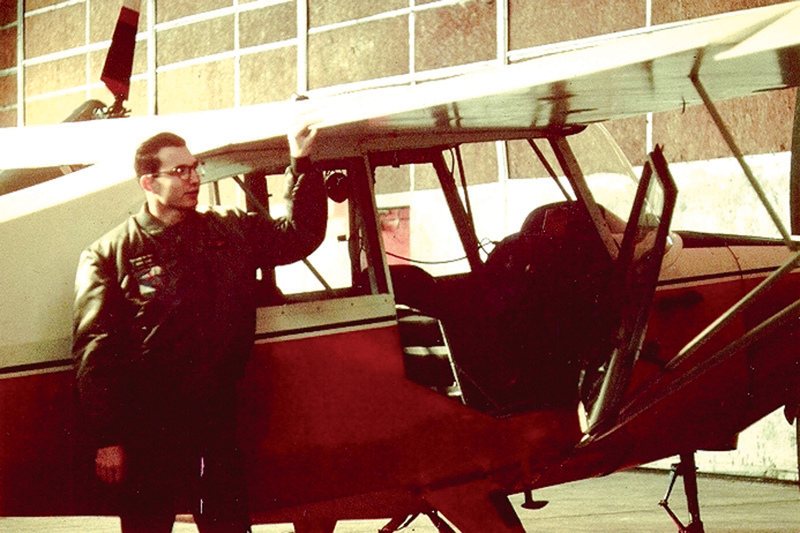 When he found out there was a Civil Air Patrol squadron in Brainerd, about 30 miles away, the young aviation enthusiast began driving his old Pontiac out for meetings. His enthusiasm led to forming a unit of the Brainerd squadron at his high school and eventually to rejuvenating Little Falls Airport. “Unfortunately, Pike’s dreams of becoming a fighter pilot weren’t to be. 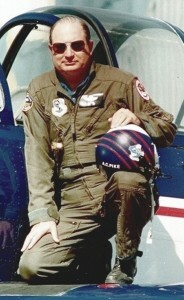 Although he joined the Air Force in 1960, he soon found that his eyesight was deteriorating to the point where he didn’t qualify for pilot training. He took the loss hard. “I was burned out on flying for a long time after that, but I got interested in medicine because of my eyesight, which eventually led me to prosthetics,” Pike said. After serving as a medic in the Air Force, he went on to Northwestern University, to which he credits his extensive success in the field. For nearly 40 years, Pike has been a leader in the field. He’s a former president of the Amputee Coalition of America and the first recipient of the organization’s professional achievement award, honoring him for his significant impact on the lives of amputees. 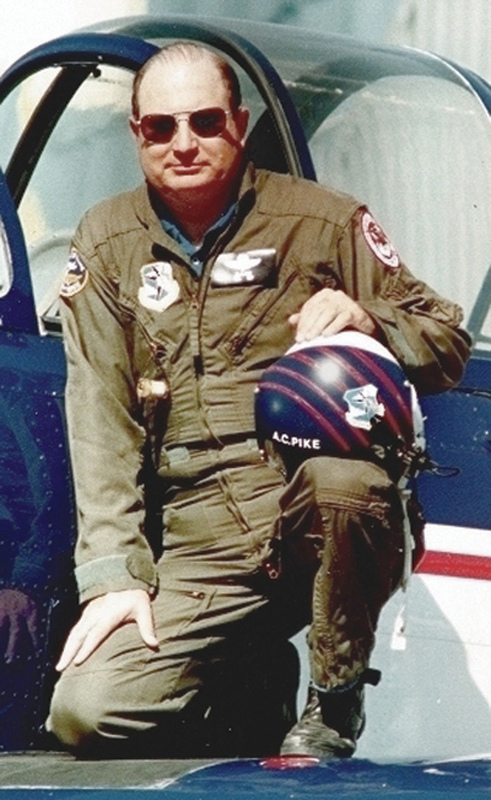 Although Al Pike spent his Air Force years as a medic, he was always fascinated by aviation. In the 1970s, Pike went to work for Minneapolis-based Otto Bock Health Care, a leading provider of prosthetic limbs and other health care technology. It was there that he had his first brushes with Hollywood. Steve Ziff, a special projects coordinator with Industrial Light & Magic, contacted Otto Bock about special myoelectric devices they could use for Luke Skywalker’s bionic arm in “The Empire Strikes Back.” Later, Ziff would ask for Pike’s help again in providing the prosthetic limbs seen at County General Hospital in “The Fugitive” as Dr. Richard Kimble, portrayed by Harrison Ford, tracks down the one-armed man. Most recently, he was a creative consultant on an independent film called “Four Feet,” starring actress and real-life amputee Shelby Robin. Pike, a film buff himself, encourages directors and producers to get away from the cinematic portrayal of amputees—the “Captain Hook” effect, he calls it—and use real amputees to greater dramatic effect. One good example the prosthetist points to is last year’s dramatic portrayal of B.D., a character in Garry Trudeau’s Doonesbury comic strip, who loses a leg in Iraq. More recently, Pike’s duties as a prosthetist-orthotist at the Veterans Affairs Medical Center in Minneapolis has tied his interests in both the military and medicine together in a challenging way. The hospital is treating young soldiers with combat injuries straight from Iraq and Afghanistan. Although the thousands of amputees coming back are heartbreaking, Pike explained that it’s helping to further research in the field, with a level of innovation that hasn’t been seen since World War II. As an advocate for amputee patients, Pike formed the Amputee Resource Foundation of America, and serves as president and CEO. He helps patients cope with the psychological impacts of amputation, and educates doctors in the science of it. As a prosthetist-orthotist with the Veterans Affairs Medical Center in Minneapolis, Al Pike has been at the leading edge of both treatment of amputees and research into new mobility options. By the 1980s, Pike had almost completely given up his flying except for a few hours playing on the new flight simulator software for personal computers, but on a whim, he stopped by Minnesota’s Crystal Airport one afternoon. He ended up taking ground school as a Christmas present from his wife, Carol Ann. He eventually got involved with Robert Pond’s pet project, the Planes of Fame East, an air museum in Eden Prairie, Minn., where Pond kept his massive collection of WWII combat aircraft for years. Pike served on the museum’s executive committee and oversaw its famous air show program for three years. He also combined his love of flying and film to produce incredible footage of the air shows. Although the museum closed in 1997, Pike still remembers it as one of the remarkable periods of his life. He got to fly Pond’s B-25 and B-17, T-6s and T-34s, as well as meeting aviation legends like Chuck Yeager, Tony LeVier, Gabby Gabreski and Joe Foss. For a pilot who got cut from flight training, he flew some amazing aircraft. He also remembers fondly the camaraderie he enjoyed with the pilots and other aviation enthusiasts who participated in air shows around the country. Pike still enjoys going to local air shows as well as his professional responsibilities lecturing on prosthetics and raising money for research. He hopes to write a book about his career in the artificial limb trade and has absolutely no regrets about his adventures in aviation or medicine. For Pike, the rewards have outstripped the challenges by a mile. For more information on the Amputee Resource Foundation of America, visit [http://www.amputeeresource.org].